Sign up for our newsletter and follow us on Facebook to be the first to know about Dispatch Radio events. We record regularly throughout the Front Range, partnering with local outdoor shops, breweries and other venues. 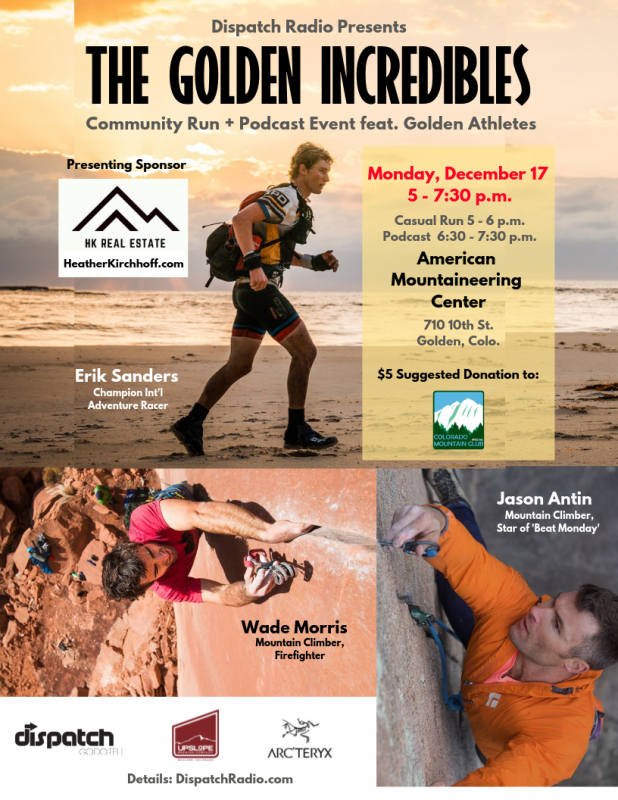 Tuesday, February 19 (6 to 8 p.m.) at American Mountaineering Center – A special “Crusher Couples” episode featuring Golden Mountain Runners and Colorado Mountain Club at the AMC in downtown Golden. Link to buy tickets. Wednesday, March 6 – OCR Night at Manic Training Highlands Ranch feat. Tough Mudder world champion Kris Mendoza. 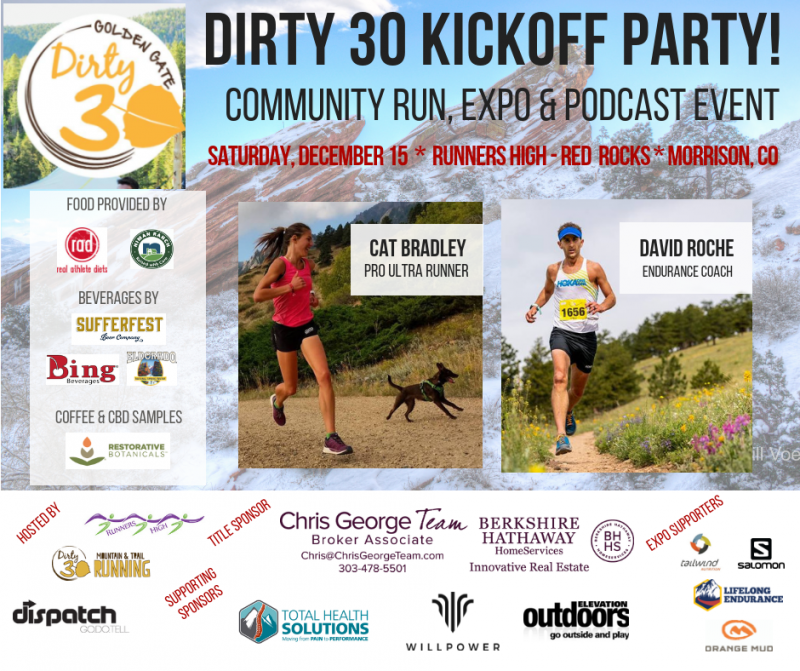 Join a community cross-training workout and live podcast event after. Details here. Friday, March 22 – “CBD 101 for Athletes” – Our second Rare Air Talk hosted at The Studio (Boulder). Details to follow.